So in the midst of good daughter duties, I spent yet another day perusing Walmart after mom's appointment. We tend to split up because if we don't I end up frustrated cause there is literally no need to go up and down every aisle when you only need something from two of them. As I was roaming for the mix of healthy and I need this sugar cause I'm stressed to high heave, I found things I had to buy cause yeah I had to. First up from the Asian section, stir fry noodles and a thai peanut kit that doesn't require me to actually put the peanuts in--cause yeah I hate peanuts. 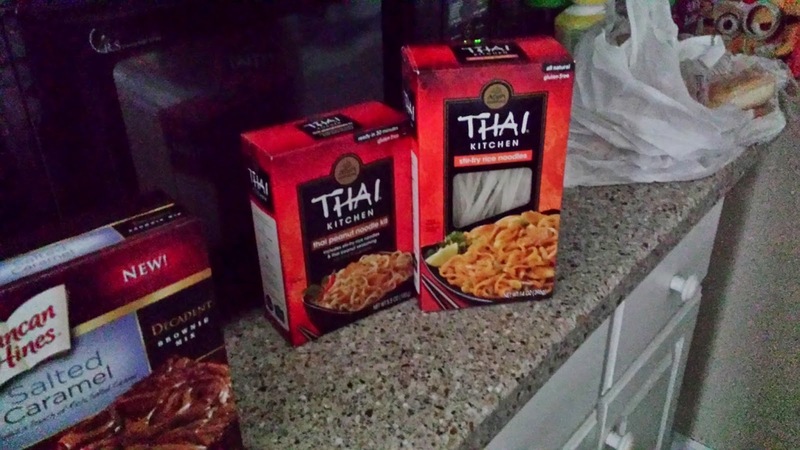 I am going to try to make something remotely healthy with both cause I love Asian food and noodles are filling to me but the stuff I like keeps getting discontinued. Yeah ignore those hot dog buns and Minion lunch bag lol. Then when I hit the baked goods aisle my eyes caught that box in the left corner and another one that made me go oh yes ma'am. So yeah I shouldn't even entertain Cinnabon but the smell and the icing are like Baby Magic on newborns--total traps. I didn't make either today because I bought other stuff--didn't eat any of that either lol. 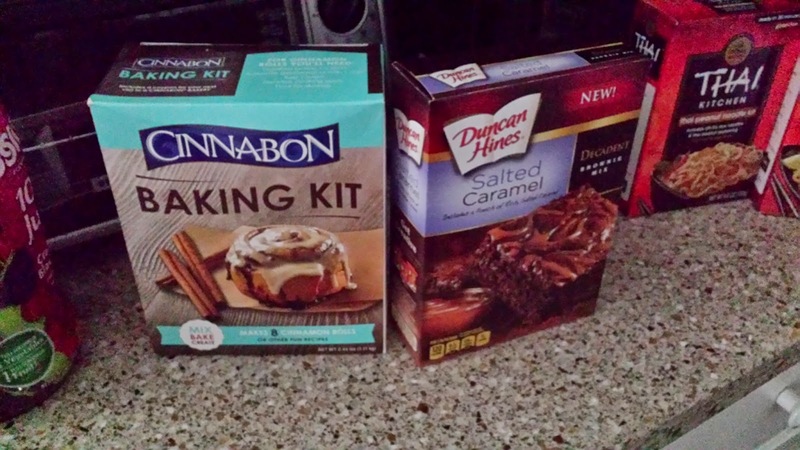 But I'm super duper excited especially about the salted caramel brownies. If I wasn't so annoyed I would have been drooling at checkout. I will let you know how they all taste whenever I make them.